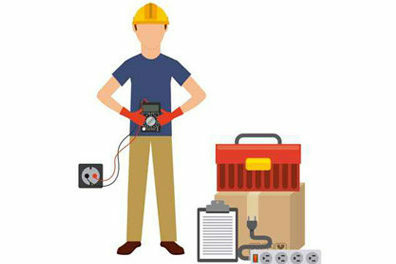 Postcard marketing for electricians is a great way to build an electrical business. Target consumers or commercial prospects by using the right mailing list. Use some of the ideas in this article or include your own. The postcard marketing for electricians should be designed as a lead generator. The postcard must pass “The Glance Test”, which means the reader will know what the card is about with just a passing glance. This can make the difference between getting noticed or being tossed out as junk mail. 1. So Many Homes, So Many Opportunities! We’ve seen lots of computer technicians advertise their services with the headline: “ELECTRICAL PROBLEMS? CALL US!” This approach can yield results. There is bound to be lots of folks with some sort of problem. However, why focus on just home owners with problems? Instead, consider every home as a prospect. Think about all the services you could provide in addition to fixing electrical problems. Services like: adding additional outlets, upgrading panels from fuses to circuit breakers, security or landscape lighting, adding service for ceiling fans, replacing fixtures, the list goes on and on. Give prospects an idea of the cost of your service. For example, Add an outlet $99, Regular Price $119, Save $20. In fact, you should include a menu of prices for a variety of services. Some will see a price and say, “that’s too expensive”, but others will remark “I didn’t realize it was so reasonable.” Prices pre-qualify prospects before they call. Why not prospect in the neighborhood where you live. USPS Carrier Route Maps make it easy to target specific neighborhoods. People trust their neighbors. Include your photo, you may be surprised how may may recognize you. You can even offer a neighborhood discount. If you get the job, waive the service call fee. Your ad can say: “FREE Service Call” the disclaimer can go on to say Service call fee waived if work is done (a $79 value).